Have you ever daydreamed about Donald Trump being hauled out of the White House in handcuffs as a stoic Robert Mueller looks on? If you have, you’re not alone. But if you spend any time thinking the final endgame scenario through, you quickly realize it’s not so simple. Let’s assume for a moment that Robert Mueller and the Attorney General (or the SDNY) decide to indict Donald Trump while he is in office. How do they issue that indictment? Is Trump a flight risk? Most likely he is not. Therefore, his lawyer would be served and he would be given some number of hours to turn himself in for processing. What will he do? What if he announces a pardon for himself? That would place a burden back onto the DOJ to fight the pardon in court, and he would most likely avoid immediate arrest. Would he start firing nearly everyone inside the DOJ? He could. Would the Republicans in Congress decide they don’t want to go down with him, and move to quickly impeach him before he can wreak further havoc on our institutions and/or rally his supporters to armed protests? 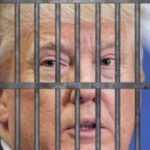 Do you really think Trump will accept an indictment quietly, or is he more likely to fire as many people as he can in the DOJ, issue pardons to himself and his family, and rally his supporters into a frenzy? Even if Donald Trump is indicted, he would still most likely be the President of the United States until there are enough votes to oust him. I bet these conversations have happened and are happening right now inside the DOJ. Given how messy this “end-game” is likely to get, it makes some sense that the final act against the President of the United States must be robust and well planned. This is not going to be clean and simple.